New Lenovo IdeaTab plans to fight the iPad by stealing its old screen: Will it work? Did Lenovo’s attempt to mimic work? Check out our full Lenovo IdeaTab S2109 review to find out. Sometimes, to beat the man, you gotta be the man. Ric Flair knew this and all of Apple’s tablet competitors have followed this motto, but Lenovo is about to kick it up a notch. The Chinese computer maker has unveiled its new IdeaTab S2109 on YouTube, which forgoes the traditional widescreen aspect ratio of all Android tablets and instead uses the same 9.7-inch 4:3 aspect ratio screen found in the first two iPads, complete with the same 1024×768 pixel resolution that Apple just quadrupled with its third iPad. The S2109 is also just about as thin as the iPad at 8.9mm, has a similar unibody shell (though this one has a “gunmetal finish”), and Lenovo is touting a similar 10 hour battery life as well. There are a few enhancements. The 1.3-megapixel front-facing camera is definitely better than the crappy VGA camera on the front of the iPad 2. 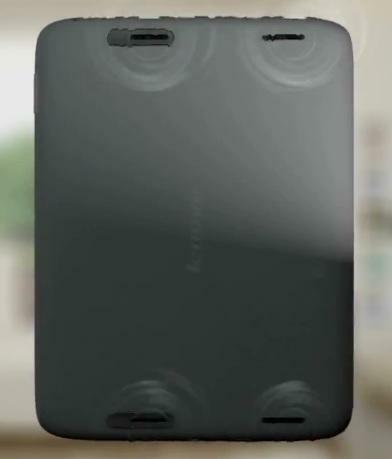 And for some reason, Lenovo has included four rear speakers on each corner of the tablet, which will likely pump out much better sound and bass than Apple’s single anemic rear speaker. It also has microSD, Micro HDMI, and Micro USB connectors. To get these ports on an iPad, you’d need to buy expensive adapters. There are oddly strange omissions as well. While Apple has emphasized the rear camera on the third-generation iPad by including the same camera as found in the iPhone 4, the S2109 doesn’t appear to have a rear camera at all. We also don’t know what its processing power and internal hardware is like either, though it may run on a TI OMAP processor, according to SlashGear. This pretty much confirms that it will not be a quad-core machine, as Nvidia seems to be the only company currently supplying quad-core processors with its Tegra 3. Lenovo may be on to something. Though I doubt that this tablet is going to beat the iPad, it’s hard not to wonder if Apple picked the best aspect ratio and screen size right out of the gate with the iPad. I’ve used every tablet on the market and Android tablets often feel a little off because of their widescreens. A widescreen is great on a laptop and nice for video content, but I haven’t seen many other benefits when using a tablet. The iPad’s more boxy shape has actually enabled many of its apps to more easily adapt for use in landscape or portrait orientations because there isn’t a huge difference in their dimensions, whereas an Android tablet usually has a screen where one side is almost twice as long as the other. Of course, there is a giant downside to Lenovo choosing a 4:3 screen: there aren’t any apps built for it. 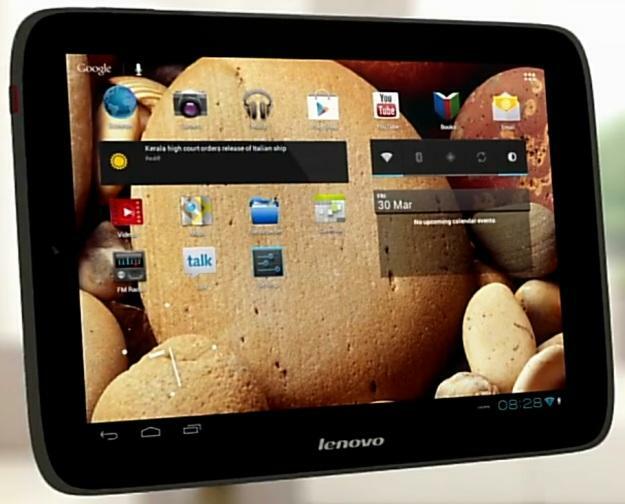 No apps outside of the one or two Lenovo may build specifically for this tablet will support its odd aspect ratio. Either Lenovo has figured out a way to stretch apps out or full-size tablet apps may run with black bars along their sides. It’s already difficult to find apps that are built to support Android tablets. It’s discouraging to think that even fewer of those apps may work well on this tablet. There is some hope. We do know that the S2109 will run Android 4.0 (Ice Cream Sandwich), which is much better at resizing itself than Android Honeycomb, so perhaps it can support a 1024×768 pixel resolution. I was digging through the Android developer site and have not found any evidence yet, but hopefully, it can. The only other major tablet maker to try a 9.7-inch screen was HP with its WebOS TouchPad. Sadly, the TouchPad (review) met its end extremely quickly. The screen size was the least of its problems. We have no word on pricing or a release date for the IdeaTab S2109, but we’ll keep you posted.